When there is a protest in China where people carry signs, the Western media rants about the Chinese being denied the right to a democracy, which includes the right to protest. What if the majority of Chinese don’t want the kind of freedom or democracy the West has? In fact, the only freedom most Chinese don’t have these days is a vote in Party elections. According to the Eurasia Review, the Chinese do protest often. However, ignoring these facts, the Hoover Institute of Stanford University urges the United States to be more aggressive in pushing for democracy in China by supporting and linking together Chinese groups and a few thousand individuals that call for democracy. Let’s not forget that there are 1.3 billion Chinese and they do have a voice. If they can organize tens of thousands of protests and negotiate settlements with the government, they can also call for changes in the political system if that is what the majority of Chinese want. Yet, there is little or no evidence that the majority in China want political changes except for a handful of malcontents spurred on by the likes of the CIA, the Hoover Institute and the Noble Peace Prize Committee in Europe. As for a free press in China, how can a press be free when it belongs to the government? When President Bush lived in the White House, his staff often censored news coming out of NASA and other government agencies and that was in the US. In China, the situation is similar—the media in China belongs to the government as the US. Post Office and NASA does in America. In fact, there is freedom of expression in China. The Chinese Blog more than any nation on the globe and used the Internet to organize national labor strikes in recent months that were spread across China. China’s government supported those labor movements and chastised private businesses for not paying workers more. 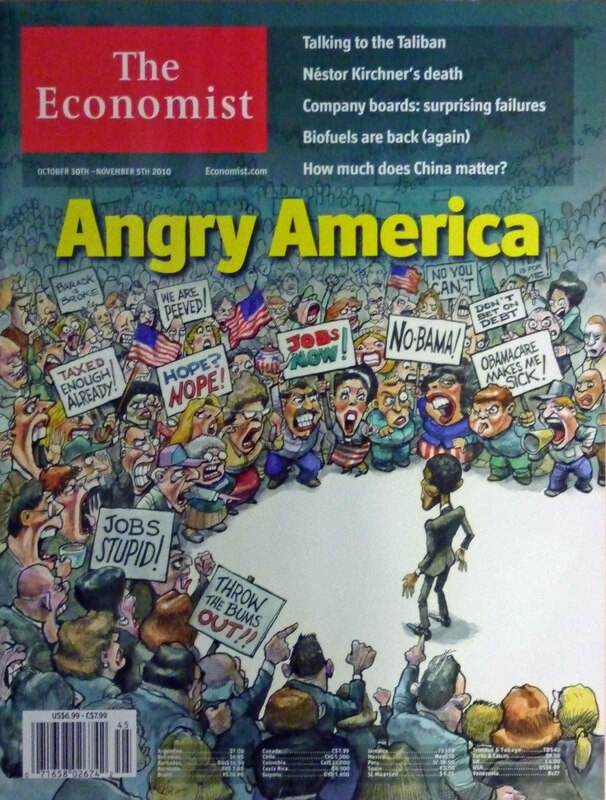 Getting back to the anger that was splashed on that cover of The Economist. Correct me if I am wrong when I say that the anger in China isn’t that much different from the anger in America. However, it seems the Chinese may be more civilized and open to compromise to solve disputes peacefully and avoid the anger and partisanship that has all but frozen progress in a debt-ridden US. Learn more and see What is the Truth about Tiananmen Square?